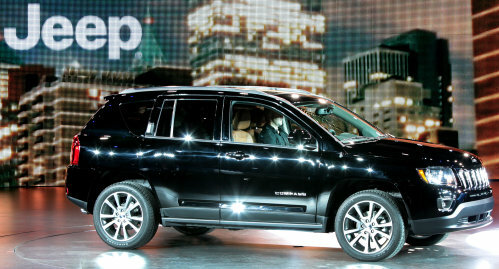 The introduction of the 2014 Jeep Grand Cherokee may have been the biggest news from the Chrysler Group but the addition of a new 6-speed automatic transmission to the 2014 Jeep Compass and Patriot comes as a feature that many consumers will appreciate – just in time for the two compact SUVs to leave production. While there has been no formal time table laid out by the Chrysler Group, it has become common knowledge that both the Jeep Compass and Jeep Patriot as we know them today will soon be replaced or heavily refreshed. However, the Chrysler Group is looking to improve sales of their two compact Jeeps until they are replaced or refreshed and a key component in improving Compass and Patriot sales should come in the form of the new 6-speed automatic transmission. Prior to the 2014 model year vehicles, the Compass and Patriot have come with either a 5-speed manual or a Continuously Variable Transmission (CVT) with the later of those two receiving less than favorable reviews from both the media and the consumer. While I found the CVT in the 2012 Jeep Compass to be tolerable, I am one of those people who just cannot get used to the crazy amount of engine revving that comes with this style of transmission. For some vehicles, like the long list of popular Toyota hybrids, the CVT works out very well but for the Chrysler Group vehicles including these two Jeep SUVs and the now-gone Dodge Caliber – the CVT transmission was a major turn off for some prospective buyers. Honestly, anyone who owns a Dodge Caliber with the CVT will likely agree that the snowmobile/golf cart-like driving experience created by this automatic transmission is one of the aspects that made this compact hatchback less than exhilarating to drive. Now, a great many people have purchased the Jeep Compass and Patriot with the CVT transmission so for those who have learned to love their CVT, they can still get these two compact Jeep SUVs in those high end models equipped with the Freedom Drive II four wheel drive system. However, for those who want a traditional automatic transmission that features proper shifts as you accelerate and decelerate, Jeep buyers can pick either of the small SUVs and have a transmission that doesn’t feel like it is always slipping. Vehicles not equipped with Freedom Drive II will now be fitted with the new PowerTech 6-speed automatic transmission while the base model Patriot and Compass will continue to come equipped with a 5-speed manual transmission. Considering that both the Jeep Compass and Jeep Patriot could be gone from the Trail Rated lineup within the next few years, it should come as no big surprise that there are no other major changes to either of these compact SUVs. The 2014 Compass benefits from a new 18 inch wheel option, some new trim options around the outside and a backup camera system while the Patriot receives only new seat mounted airbags for 2014. Both of these vehicles will continue being powered by a choice of two 4-cylinder engine options – a 2.0L mill making 158 horsepower and 141lb-ft of torque or a beefier 2.4L engine with 172 horsepower and 165lb-ft of torque. In the end, the biggest hit against the Jeep Compass and Jeep Patriot over the past few years has been the unpleasant CVT automatic transmission and now that Chrysler has “fixed the problem” – perhaps these two compact Jeeps will see stronger sales until this generation of these models comes to an end. With the company’s move away from the CVT, it will be interesting to see if there is any continuously variable transmission offered in the next generation of the Patriot (the Compass is rumored to be killed off altogether). My guess would be that the era of the CVT in Chrysler Group vehicles has come to an end unless the company works out new CVT technology that will take away the noise and harshness that comes with a transmission that feels like it is always stuck between two gears.